Winter is finally loosening it’s hold on the Rocky Mountains. Today, I saw my first yard sale sign. My garden is tilled and we’re to that awkward time of year where you scrape your car windows in the morning and roll them down in the afternoon. Our Scout camping trips will turn to decidedly warmer locations. This month we are headed for Meadow Hot Springs. The next campout will be our annual hike of “Baldy.” Eight thousand feet of elevation change in two days. During our snow camp last month, we camped, slept and ate in the snow. We even built our fire in the snow. Standing on the snow is cold. Even if you have wool socks and good boots, it’s cold to stand around on ice and snow all day. We built the fire a little higher and stood a little closer. 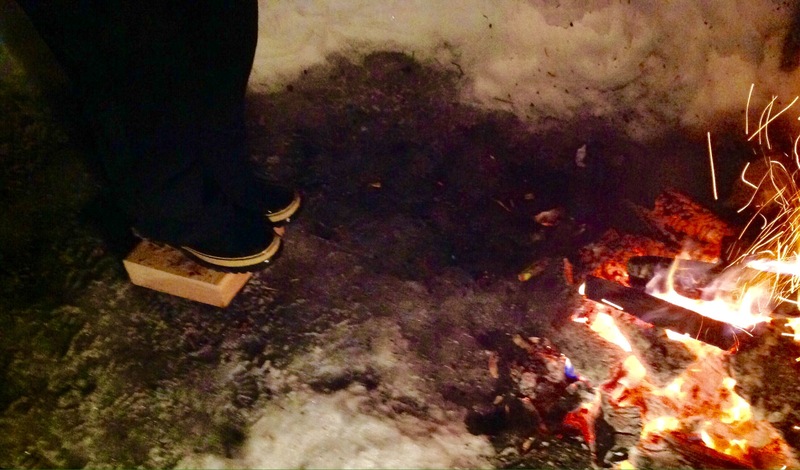 But, eventually we discovered an even better trick than hugging the fire. The wood we had for our fire came from a company that built gazebos. It was very dry and very square. Blocks of wood are not just for burning. 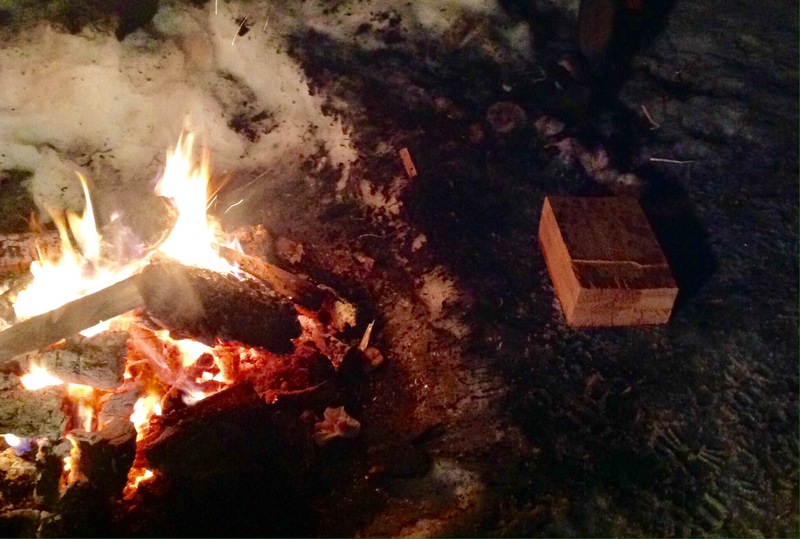 As the night worn and the boys drifted off to their snow caves, the leaders gathered around the fire to talk. Before long we were all three inches taller. Even the leader with the nicest boots commented what a difference it made to stand on wooden insulation. I made one serious error in our snow camp. I brought a single pair of gloves. They are great gloves, but digging out a snow cave, they got soaked. Fortunately it wasn’t exceptionally cold. I ditched the gloves and warmed my hands in my pockets. When we arrived home, my gloves were still soakin, inside and out. Here’s a trick to dry them from the inside out. 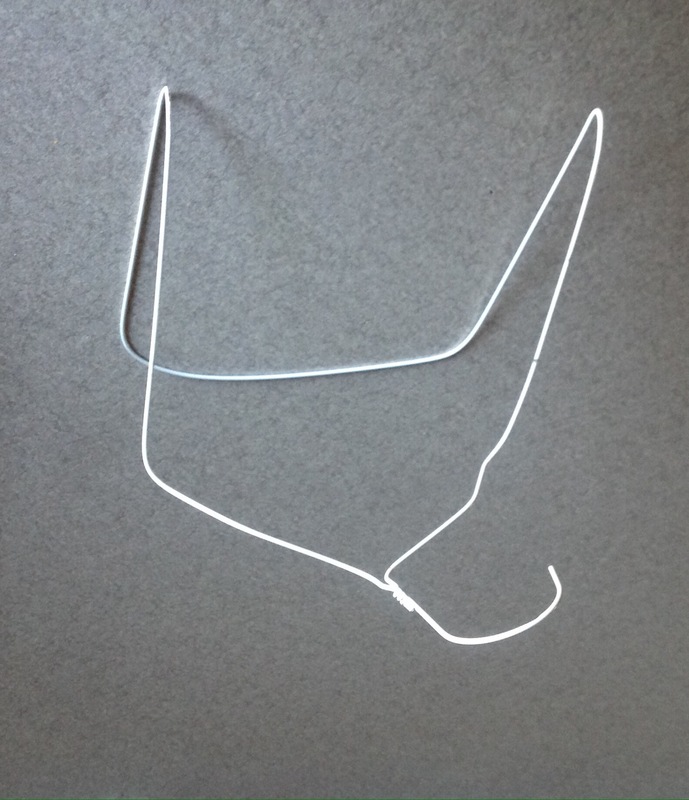 Take a wire coat hanger and bend the ends up like the picture above. 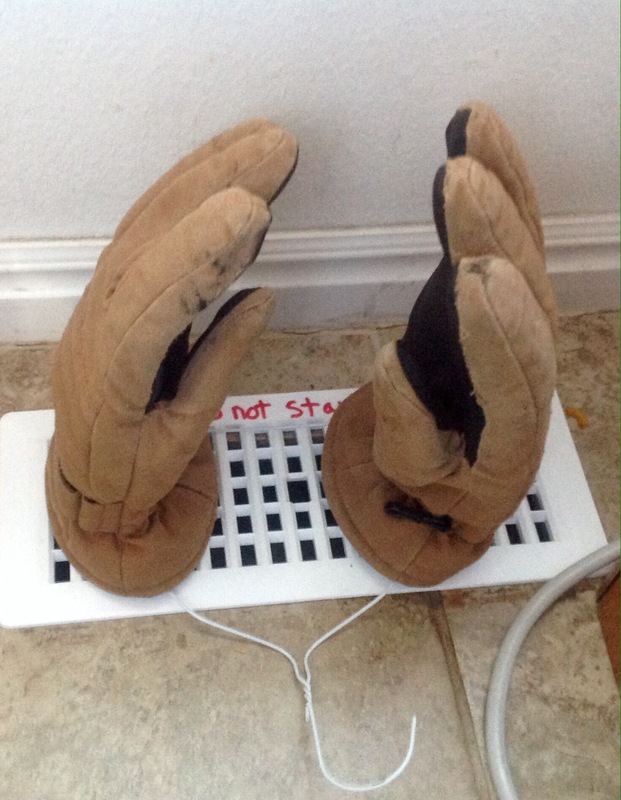 Then, place your gloves over the ends and set them on a heating register like the picture below. The problem trying to dry gloves is typically that the outside dries out, but inside is still wet. This method takes care of that. Plus, you can reuse the coat hanger.